Tom, of Quinn’s Construction, accommodated my schedule and came to meet up with my husband and me about the roof on our two-family house in Belmont, MA. He explained in detail the Total Protection Roofing System by Owens Corning. He proceeded to go step by step and explained the process in detail and the products that he would be using for our new roof. We talked about what would happen if he found damage to the original roof boards underneath the current shingles. He said that they would replace 100 square or lineal foot of roof decking in the estimate. If more boards needed to be replaced, they would cost $2.80 a foot. My husband and I knew there were some iffy roof boards on our house, so that sounded really good to us. We accepted the proposal and Tom asked us when would be a good week for us to have it installed. Before we knew it, the building permit arrived at the house, and Tom called to give us a firm date. He explained the dumpster would arrive the day before and the work completed in one day.So on Tuesday this week, the dumpster arrived in the afternoon; and on Wednesday morning Tom’s crew arrived very early. We had car juggling to do in the driveway to make room for their ladders and they patiently waited for us to do our thing. They started right to work preparing to keep our yard and surroundings clean and undamaged. They removed the current roof, cut the ridge vent, replaced the worn out roof boards, working around two large skylights. They have completely finished the shingle installation by mid-afternoon. By the look of the yard, you would never have known they were there. The dumpster was picked up the next day. My home now is fully protected from the roof on down and I feel ready to face the winter ahead, not to mention the Owens Corning Duration Designer Shingles are truly beautiful! They really make a statement in your home. I am more than pleased. Everything went better than I expected. This spring I found myself in a position, like a lot of homeowners in the Boston area, of needing a new roof. The two last rain storms after the winter found their way into an upstairs bedroom. Thank goodness I found Tom Quinn. I called him and left my address and phone number. When he called back, he already had a roof plan in hand and we discussed a time when he might send someone by to have a closer look at our roof. This inspection happened the next week and then Tom called and made an appointment to come by to talk about the work that needed to be done. He came at the time he said he would and gave my husband and me a detailed description of the work, the timing, and the materials to be used. We were impressed with Tom’s knowledge of roofing products, ventilation, and installation. His explanations were easy to understand (no double talk) and we were pleased to sign the proposal without any delay that night. The workmen came the next week and a large dumpster arrived before they did. The prep work was done, the old shingles removed, the ice shield and ridge vent installed, and the shingles put on all in one day. My husband was totally impressed when he saw the workers combing our yard with a huge magnet to make sure there were no nails left on the property. Everything was cleaned up by day’s end. I am so happy with the job that was done by Quinn’s Construction. We had a new roof put on our vacation home last summer and it was a different experience altogether. Quinn’s Construction replaced the roof, replaced two skylights, installed soffit vents, and replaced all the gutters and downspouts. In addition, they had to shore up rotting rafters, replace insulation, and replace a window and sash. How do you define GREAT? Quinn’s Construction! We contacted them to get an estimate for replacing the roof on our home. Initially we did not believe Quinn’s would be interested in the job because they are located a fair distance away from Medford in Dracut however Tom agreed to provide an estimate. The distance proved to be significant because Tom had to come back many times and he always agreed to meet at a time that was convenient for us and was always a few minutes early for the appointments It wasn’t intentional but we ended up getting a total of six bids for the job. Out of the six, Tom proved to be the most knowledgeable, the most patient, and the most willing to share his knowledge with us. When we initially sat down with Tom he spent at least an hour with us scoping out the job out and explaining everything that it entailed. He and his crew did everything they said they were going to do when they said they were going to do it. Really this is a case of under-promising and over delivering. This was a big job. Tom promised to do it quickly and they did. The roof looks fantastic! Skylights are great. Of course no job this size can go perfectly. A window was broken in the process, but they replaced the window quickly at no cost to us. He gave us a fair price with incredible value. Really I can’t think of anything more they could have done. If you want a high quality job, by pleasant professional people Quinn’s Construction should be your choice. Quinn’s Construction redid our leaking roof, replaced three rotting wood dormers with Azek trim and new siding, replaced and repaired two copper gutters, did mortar work to fill cavities in three of our chimneys, and replaced a large section of flat rubber roof. They showed up at my condo building in Charlestown to put in one of five bids for the job and I chose him because of his thorough description of the process, materials, time to completion, and, of course, price. His personality was a bonus, he’s an easy going guy that clearly knows what he’s talking about and does what it takes to get the job done to his client’s satisfaction. Tom Quinn (the owner) emailed me back very quickly. I was impressed that the owner of the company “CALLED me” to schedule the appointment and reviewed all the details with me. So, I knew what to expect from his roofing company after talking with the Owner. They matched the shingles perfectly and installed them professionally. (Thank you, Bart and Eric.) The best thing of all was the detailed report left behind by the installation team (Bart and Eric). They left a report laying out the “Root Cause” of why shingles falling off and proper placement of the nails on the shingle to prevent it. In their report, they laid out detailed “Recommendations” for the way forward. I’m a very happy customer and thrilled about how much they work like a team. I did receive a “follow up call” to find out how the job was to my satisfaction from the owner. This was above and beyond to receive the call for a follow-up. GREAT JOB! Honest too. FANTASTIC communications, professional and honest is a perfect description of Quinn’s Construction. Great Job Tom Quinn and Team! I look forward to doing more business with you. This project was completed in a day and a half, which was the best for me. I appreciate Tom’s efforts to get it done quickly, as I had a tenant coming in. The roof is just what Tom told me it would be – my kitchen (upstairs apartment) cooled off 10-15 degrees after the roof was installed. The shingles obviously are energy efficient. Thanks, Tom, for attention to the smallest details on this job. I really appreciate your rubber-roof fix for that difficult area of the roof. No other contractor I met with even mentioned or suggested that detail. Your honesty and experience will save me headaches and money in the long run. I dealt only with Thomas Quinn throughout the process. I had two other professionals out to assess the job, and neither of the other two provided the degree of detail that Mr. Quinn did, including actual samples of the materials he intended to use and the reasons for using them. His work was on time, he cleaned up very well after the job, and his charge was very reasonable. I highly recommend Quinn’s. Did a great job, came in on a Sunday to get the project completed. Quinn’s Construction installed new RPI flat rubber roofs on four kitchen ells at our condominium in September 2010. This involved completely removing several layers of existing roofing, and we are most pleased with the results. In addition, we now have a 15-year warranty from the manufacturer for both materials and labor, which means the manufacturer’s rep came here and approved the installation. Tom Quinn explained the process thoroughly and was willing to time the project to fit our needs. We will be hiring him soon to replace some trim and shingles on our building, as well. He is easy to work with and we would recommend him to anyone needing a dependable, professional home contractor. Everyone I dealt with at Quinn’s was very professional and courteous. They repaired a small area of our roof hoping it would fix the leaks we were experiencing. When it didn’t, they replaced the whole roof. Their pricing was fair and they even sent over guys to clean the snow off our roof (without charging us) to prevent further water damage before we could start the entire roofing project. They called to follow up and has offered to send another cleanup crew to our home this spring once the snow melts. I would recommend them without hesitation. Quinn’s Construction did a great job installing our flat rubber roof and was very easy to work with. Both Tom and his crews were very professional and courteous. All details were covered in the contract. Tom provided samples and detailed information on materials to be used. We knew what we were getting for a product. Tom is proud of his work and wanted us satisfied. He went above and beyond to complete this job and actually scheduled the job around our vacation and a rainy season. He is quick to respond to calls and questions regarding the job. The job came in on budget. All of the items on the final punch list were addressed with great quality and timeliness despite a very rainy period at that point in the weather. Clean up was perfect. We will be hiring Tom again in the future. He has done a lot of work for me. I have always thought that he does good work. He is dependable, shows up and does the work. I don’t remember any problems with his work. Tom Quinn contacted us the same day of our inquiry. He came to our house within 3 days of initial contact and walked us through the repair expectations providing a very reasonable quote. He was originally slated to come out to make the repair a week later but Tom contacted us ahead of schedule when he learned Tropical Storm Danny was bearing down on the area. Since water was leaking into the house from normal rain fall the prospect of heavy rains would have been devastating to us. Tom’s proactive project management approach significantly mitigated damage to our home. We would absolutely use this company again and recommend them to others. I was recently faced with the daunting task of replacing the roof on my house. I spoke with many contractors and construction companies about doing the work and obtained quotes and what work would need to be done. I knew on my first visit with Mike and Tom that they were the ones for the job. They were very prompt to see my roof, thoroughly explained the process and what my options were and gave a great price to do the work. They were the only contractors to actually get on my roof and in my attic to assess the full job so there wouldn’t be any hidden surprises for me. I was confident when they did the job that they wouldn’t have an over run on the cost. Their entire crew were very courteous and left a very clean job site. I give then five stars on service, quality of work, and thorough explanation of the process from beginning to end! When my home needed significant roofing replacement and structural repair Quinn’s Construction (with Tom Quinn as Project Manager) proved more than up to the task. They came in with a competitive proposal, and Tom’s quick response to questions, attention to detail, obvious knowledge and personality convinced me that they were the contractor for my project. Tom and I went over the job requirements thoroughly several times before commencing, refining the project scope, schedule and our general expectations and I were quite comfortable leaving the work in his hands. They hit the job hard right from the start with about 15 workers and were done in about 2 days, well within the required completion period. Tom constantly kept me updated during construction and was always available if I had any questions. Whenever I was on site work moved along quite efficiently, everyone was well mannered, knew their job and the workmanship was of high quality. They moved dumpsters and materials on and off the job site quickly, did an exceptional job cleaning the project site and caused very little disruption to my neighborhood. I’ve worked for several Architectural and Engineering firms over the last 25 years preparing construction documents and reviewing/inspecting contractor work and in my case, Quinn’s Construction performed exceptionally well. They responded to questions and issues quickly, provided all the services promised at the scheduled time and they did it all at what I considered a reasonable price. I would highly recommend Quinn’s Construction and I consider them the front runner for my upcoming siding & replacement window project. Project: Re-shingled Roof (original shingles); removed existing shingles and replaced rotted trim boards. New water barrier, ice shield, drip-edge, and ridge vents. Removed and replaced10 existing, fixed skylights; zinc strips for mold/moss control; extra-high ice shield to prevent ice dams. I solicited and received 6 proposals for roof replacement and Quinn’s proposal was almost $9000 less than the next lowest. Though each proposal recommended the replacement of the existing skylights, only Quinn’s proposal included the $8,000 cost of the new skylights. I spoke to Tom Quinn several times in preparation for my decision and he was patient and willing to explain the tradeoffs he saw in the selection of the various materials. In particular, when I presented him with a negative Consumer Reports review of the shingles he had chosen for his bid, he informed me that the product had been re-engineered as a result of the CR review and showed me more recent reviews documenting the improvements. Tom provided me with a few addresses of houses with roofs he had recently done in the Boston area and encouraged me to drive by to see them and to remember what I thought of the various color options. After selecting Quinn’s Construction, Tom recommended a popular gray color shingle and after seriously considering several other choices, we went with Tom’s recommendation. We elected to have the roof replaced prior to moving into the house, so there was a limited time window in which to complete the job and Tom worked with us to schedule appropriately. This issue was complicated by the need to work inside the house to replace the skylights, but the team proved flexible in accommodating the day-to-day schedule of the other tradesmen working on the house at the same time. Quinn’s construction got the work done in a timely manner and we have since received several compliments on our attractive roof. Project: Complete replacement of roof (shingles & rubber). Stripping several layers of old roofing. The job went well. The team arrived when promised, arranged the details effectively, and completed the work as agreed. Team members seemed to work together very well. Project: Roof vents, repair chimney, remove old shingles, and install a complete roof. The company owner arrived to provide an estimate at exactly the agreed upon time and provided a very detailed drawing of the work to be performed, an explanation of the time estimate, samples of the colors and materials to choose from and a list of references in the area. The work was performed within one week of our initial meeting. The entire roof, which included an attached garage, was replaced in one day and I couldn’t tell that anyone had been there when I arrived home at 6 PM, except for the dumpster deposited in my driveway for the old materials. The owner called to say he left it there in case we had anything in our garage that we would like to discard, a thoughtful touch. The entire experience was handled in an extremely professional manner at a price comparable to other estimates that I received. I wouldn’t hesitate to use this company in the future for additional construction needs. Project: Replace roof valley with copper; repoint front chimney; replace flashing on the front chimney with copper flashing. Repair and replace slate tiles. Our home is 1900 Victorian with original slate roofing, so it’s been a chore attempting to find a roofing contractor who deals properly in slate! Tom responded to our initial estimate call very quickly and came out himself for the estimate. He inspected the roof from several angles and took the time to sketch out what needed to be done, as well as explain the particulars to me. No in and out here. He dropped off the estimate at our home and went over each suggested repair – estimate was thorough. His team was professional and completed the work quickly, and were done ahead of schedule. When there was a minor question as to the end of the roof valley – it was turned under into the molding, rather than jutting out like our other roof valleys – Tom sent his guys back to adjust it to our satisfaction. We are very happy and will definitely come back to Quinn’s for any other slate roofing projects. I would recommend Quinn’s Construction. They did a perfect job. Their prices were very good. They used a high-quality product. They were on time. Did it in one day and cleaned up after themselves. They were very professional. I will use them again in the future. I would recommend them to everybody. We purchased two hours of roof maintenance. It was very good and they did a good job. The blemishes they fixed were nice and they matched it beautifully. They were very honest about the condition of the roof. They came promptly and did some good hours with the work. They did more than I expected them to which was nice. I thought it was merely an inspection but they actually fixed some stuff so they exceeded my expectations. They said the roof would need changing but not for a couple of years. I was impressed with that because I could have had someone think that they can get me for a big chunk of change right now and said that I need a new roof but they said I could go for a couple of more years. I used the big deal. They did more than they said they would for the price so that was good. Project: Front roof, garage, and repair to the back roof. He was quick and clean up was very good, my wife came home did not like something, he came back personally and fixed it right away. My home is a colonial with a 1 car attached garage and an addition 16 feet by 20feet. I needed a new roof. I had 5 contractors come by for estimates. The low was $9600 and the high was $26,000. Tom Quinn contacted me within 2 hours of my e-mail and scheduled an appointment at my convenience. He arrived early. His company is licensed and has the proper liability insurance. Tom is very knowledgeable. He pointed out additional repairs that had to be done. He was the only contractor that requested to look in the attic to view the roofing boards and the ventilation status. I liked his attention to detail. Here is the work that was performed. Plywood covered in the patio to prevent damage The old roof was removed. The roof boards were re-nailed to the frame (by my request, extra cost) 6 feet ice and water barrier were applied above the gutter edge 3 feet ice and water barrier were applied along the roof line adjacent to the main house and around the chimney Manufactured polyolefin barrier was installed on the roof boards Owens Corning Duration shingles were installed. Ridge venting was installed. Continuous soffit venting was installed. Baffles to help with ventilation were installed. Damage rake boards were replaced. Copper flashing was installed around the chimney (squirrels like to chew on lead flashing.) Aluminum drip edge was installed around the perimeter of the roof. Leaf guards were replaced in the gutter. The closet door to the attic stairs were insulated to prevent heat loss. 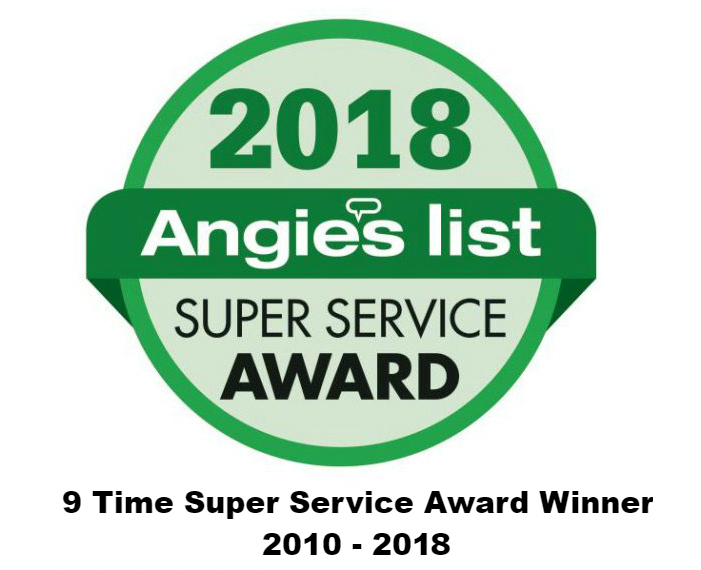 The shingles have a lifetime warranty but in order for the warranty to be in effect it must be built to specifications by a contractor certified by Owens Corning. Otherwise there is no warranty. The work took 3 days to complete. It went smoothly without any problems. The cleanup was excellent. All loose debris was picked up. This project went smoothly from start to finish. I am extremely happy with the work that was done. The cost was higher than other contractors but I have found that with home projects you get what you pay for. If I had to do it again I would use Quinn’s Construction for the work. In fact, I plan to use Quinn’s Construction for other projects in the future. Tom came right out when he said he would. We agreed upon a price and set a start date. Work was completed as discussed. I had one problem and it was taken care of quickly. All the men Tom had working for him were friendly and polite. They left a clean job site at the end of each day. They did a great job. I had a problem flat roof replaced, and a beautiful deck built with Azek decking. It looks great! Jim, from Quinn Construction, repaired the roof leak but also told me that the roof had been constructed without tar paper under the shingles. He told me that a roof replacement would be necessary for a few years. I requested a quote on a new roof. The quote was very reasonable so we replaced the roof a few days later. During the replacement, the Quinn workers removed three 4′ x 8′ plywood panels that were badly water damaged. Although not in the original quote, they replaced these plywood panels at no additional charge. The new roof looks great! I am very pleased with the value and work quality from Quinn’s Construction. …By 3:30 on the second day, the job was done. The area was spotless. The roof looked terrific, and the crew had left. Tom Quinn called the next day to ask how the job went. He stopped by later in the day to see for himself, and take some pictures. We had the roof replaced on our 125-year-old Victorian house. Tom Quinn was professional, reliable and easy-to-work-with. He was thorough in explaining the work to be done, the price was in line with other prices we were given, and the workers showed up when he said they would and were professional in every way. The entire job took 3 days, including a couple of things that needed finishing at the end. They cleaned up everything and our roof looks great. We were extremely satisfied with the work, with Tom and with the whole process. We would be happy to recommend this company and would use them again. Details: Some of the roofers we contacted were also general house painters, but in the end, we decided to go with the company that was a roofing specialist. Tom Quinn responded to our phone call immediately, came out to the house right away and gave us a bid at that time. He explained the process thoroughly, showed us the materials they’d use and left tile samples for us. When we signed the contract, he told us the schedule for the work. The roofers arrived promptly on the first day and worked every day for 3 days until the job was done. They were 8 men, professional, knowledgeable and took care to clean up everything when they were done. It was an extremely easy process, no hassles, no problems of any kind and smooth from beginning to end. Seven years ago I contracted Quinn’s construction to replace my roof and windows. A couple of days ago I notice some loose shingles on a small roof over a bay window. I also notice that the upper section of the kitchen window was not fitting/sitting right. I called Tom and explained the situation and he stated that he would send a roofing specialist and a carpenter in the morning to assess the damage. Tom called three times to keep me informed as to the arrival time of his staff. The roofer showed up first but it was raining quite hard at the time and said he would be back when the weather cleared. The carpenter arrived fifteen minutes later and quickly located the cause of the window problem and repaired it to my satisfaction. As the carpenter was leaving the roofer returned and they both surveyed the loose shingles and the roofer quickly went about his business repairing the roof. Both individuals were very knowledgeable and professional, an asset to your organization. When I asked Tom as to what the costs would be for the repair he stated that it was covered under the warranty. I highly recommend Quinn’s construction and if references are required, please contact me. Excellent crew. The job was completed in one day. Clean up was also excellent. They matched the shingles perfectly and installed them professionally. The best thing of all was the detailed report left behind by the installation team (Bart and Eric). They left a report laying out the “Root Cause” of why shingles falling off and proper placement of the nails on the shingle to prevent it. In their report, they laid out detailed “Recommendations” for the way forward. I’m a very happy customer and thrilled on how much they work great on a team. I did receive a “follow up call” to find out how the job was to my satisfaction from the owner. This was above and beyond to receive the call for a follow-up. GREAT JOB! Honest too. Fantastic communications, professional and honest, is a perfect description of Quinn’s Construction. Great Job Tom Quinn and Team!!!! I look forward to doing more business with you. We had a leaky roof and three leaky skylights that were replaced. All ceilings were painted. New construction was done in our hall closet. Tom and his crew were great! Tom was easily reached on his cell phone and was always responsive! We love our new skylights which will save on heat in the winter and keep us cool in the summer! No more leaks! We knew that we had problems; January 2010 was terrible with ice dams and water coming into the attic. After they came and did repairs on some damage caused by the ice dams, Tom and I spoke on the phone about the condition of the roof, which was bad ( we bought the house in 1997 and, as the previous owners had been there for some time, we knew that the roof had to be at least 25 years old but was probably much older). We asked for an estimate and Tom came over on a Saturday morning. After walking around the house pointing out problems, Tom, with both of us leaning on the hood of his truck, discussed how he was going to address these problems, especially the ice dam issues above the 4 double-window dormers which vitally have no pitch. When I pointed out mold on the existing roof, Tom offered the solution of zinc strips on the peak and threw them in for free. Tom took the time to make sure that we were comfortable with how he was going to handle the project, and the packet of information that he left us with was informative. The specification for the scope of work that he provided after we chose the materials was extremely detailed, further adding to our confidence. The end result is that we have a beautiful roof (tight as a drum) with a 10 year warranty for workmanship against leaks and defects, and a transferable, lifetime warranty by GAF for the roof system. The project was done on time. But the rest of the story is that Tom handled problems that arose with another contractor that wanted more money from us with work that had to be done before and after the roofing. Tom could have walked away and said that the problem wasn’t his. But, because the other contractor’s work was tied to the roofing project, Tom took it upon himself to be sure that we were totally happy with the entire project. You can’t ask more from a professional, which Tom most certainly is. For all these reasons we highly recommend Quinn’s Construction for your new roof! They were very neat, professional, and couldn’t do enough for us, we would hire Quinn’s Construction again, and would recommend them to our friends in the future. We had hired them to paint the exterior of our house. They did a fine job, always did what they said they would do, and were very polite, pros, and very neat. Project: Strip existing roof and install a new GAF 30 year Timberline Prestique high definition shingle roof. Install ventilated, custom metal, double drip edge. Replace bad or broken siding and trim around chimneys and paint. Paint chimneys with rust resisting paint. Remove all debris from the work site. Clean the work site. Tom arrived on time to look at the property, get the data for an estimate, explain his services and the materials he uses in roofing. He was timely with the estimate. The quote was reasonable. I received other quotes from various contractors. I decided to sign up with Tom since he was timely, explained what he would do well and the price was within the range I expected. After signing the contract, Tom followed up to schedule the job. On the day the job started, the crew arrived on time. The crew worked flawlessly and made difficult roofing work look easy. The job site was cleaned every day at the end of the work day. Tom is the most honest contractor I worked with. I highly recommend Tom for any roofing and related work. Project: Repaired and replaced the roof. Removed and replaced cedar shakes from dormers and painted dormers. Installed solar ridge vent. Tom wrote up a complete estimate. He made recommendations on materials and best methods. The project started and ended as agreed. The workmanship was top notch. The clean up was prompt. I feel Tom and his crew are committed to their workmanship and would never turn out any substandard repair. They ripped off all old roofing and installed a new one and added some gutters. Provided by: Cliff & Mariba K.
Project: Installation of rubber roof and new gutters on one large roof. Tommy came out right away and gave us an estimate. Work began when the weather permitted. All work was done promptly and he supplied additional black slate tiles to replace a couple missing on the slate roof. Great job! Project: Remove ice dam from our roof. Quinn’s Consultant Company did a great job getting rid of our ice dam. I think I spent around $600 and I felt like it was a good price. My overall interaction with the company was great. They came when they said they were going to come. They did what they said they were going to do. Their customer service was fine. They were prompt and professional. Tom Quinn sat down with us, showed a drawing of our roof system, and explained in detail the work to be performed and warranties involved. Started job on time and finished ahead of schedule. From Tom to his whole crew extremely professional. Clean-up was exceptional! Project: Removed and Installed New Roof on House & Garage. Removed old roof on house and detached garage, replaced with completely new roofing system, including new underlayment, ice & water shield, Timberline HD shingles, drip edge flashing, chimney lead, ridge vents, zinc strips. Hauled away all materials in a dumpster. Painted vent pipes to accentuate roof. My wife and I contacted several contractors. Tom provided the most timely responses via email and text (the most convenient ways for me to get in touch with several contractors at once during my busy schedule) while other contractors tried to just get me on the phone (I never responded to a phone call because I’m usually home late during the week and was busy during the weekend). Tom got it and contacted me the way it was convenient for me. I really appreciated this. I appreciated it even more because Tom gave me the lowest quote out of five contractors, coming in actually over $1,000 less than my next-favorite choice. We met Tom and liked him instantly. He’s just a genuinely good guy and we knew we were in good hands. He took the time to explain the entire roofing system and why he chooses the top-quality materials he uses. My wife and I weren’t sure which color would look best on our white-with-sky-blue-accents 1950s ranch, so he made a good call and suggested a favorite color which would look good now and if we changed the house color in the future (good insight, Tom!). He seemed to know what I was thinking, and my wife and I are very happy with the color. It really spruced up our home! Project: Removed and Installed New Roof. We used Quinn’s Construction for roofing. We got a new roof put on just last week and they did the job for us. It worked out very well. We got several estimates and I think their estimate seemed to be the most feasible one in terms of price. Their pricing was very fair. They were very nice in terms of responsiveness. They were fine with punctuality. Everything was just perfect. They were definitely very professional. My roof — in three parts — was replaced.. Part of the roof is asphalt shingle; part is “rubber.” The job required removing three layers of asphalt shingles along with underlying boards and replacing roof vents as well. Quinn’s Construction was informative and helpful in replacing my roof. Tom Quinn took the time to answer my questions, compare options, and explain the process. His workers were prompt, courteous, and equally responsive. They also spoke well of Tom, without my asking, and one man explained that he was working for Tom in the 1980s and considered him an honest and fair employer. The people who replaced my roof also clearly worked as a team and were familiar with each other. Although team dynamics don’t guarantee quality, they do suggest a professionalism that isn’t always evident. I may have more work to be done over the next year or two, and I expect that I’ll call Tom Quinn again for a bid. I needed to replace the roof on my house. I went to the better business bureau and picked several roofing contractors. I called them and asked them to submit bids. I then interviewed the contractors. The reason I picked Quinn’s construction was that I really was impressed by tom Quinn’s presentation. He was not the low bidder nor was he the high bidder. Tom made several suggestions like putting a rubber roof on a back roof with a small pitch that had numerous leaks. None of the other contractors suggested that even though they had the same information. One of the things that really impressed me was that he offered me a list of people to call for references. I did not have to ask him for references. I was only able to talk to one person on my original call. I left my phone number on the answering machines. Everyone called me back. They all had excellent things to say about their experiences with Quinn’s construction. My own experience was terrific. The workers were pleasant. They cleaned up the yard every day before they left. What really surprised me was that they worked a 12-hour day. I thought it would be an 8 am to 4 pm. Job. They did every thing that was promised in the bid. The roofs look beautiful. I also had the trim on my house painted and they did another excellent job. I will be having the siding on my house painted in the future and I plan to have Quinn’s construction do that job. I would highly recommend Quinn’s construction for any job that you need doing. In my opinion, you cannot go wrong. The repair men came to break up ice dams we had on the roof. They came when their manager said they would. They worked hard for 2 hours, did a great, safe, appropriate job, cleaned up any mess made, and were very friendly and nice. The charges were quite fair, the entire experience was pleasant, and we’d work with this contract again! A very good experience.